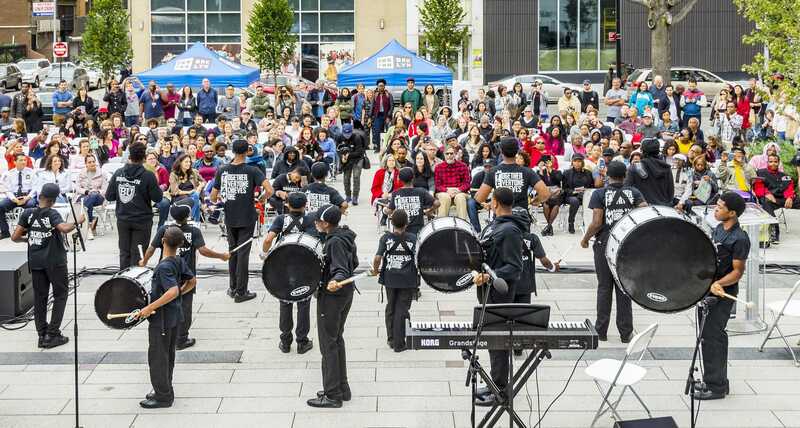 Hundreds came out to attend a weekend of free performances, workshops, and open houses. 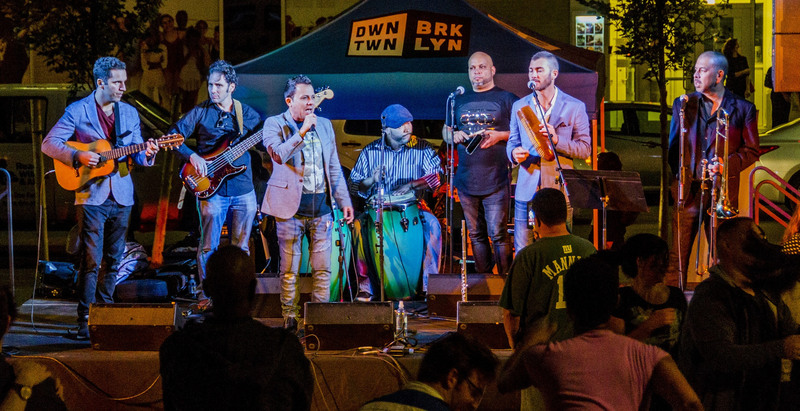 The 2018 Downtown Brooklyn Arts Festival (DBAF): Discover the District celebrated Downtown Brooklyn’s cultural community—and the artists, writers and performers who inspire the borough’s creative spirit. 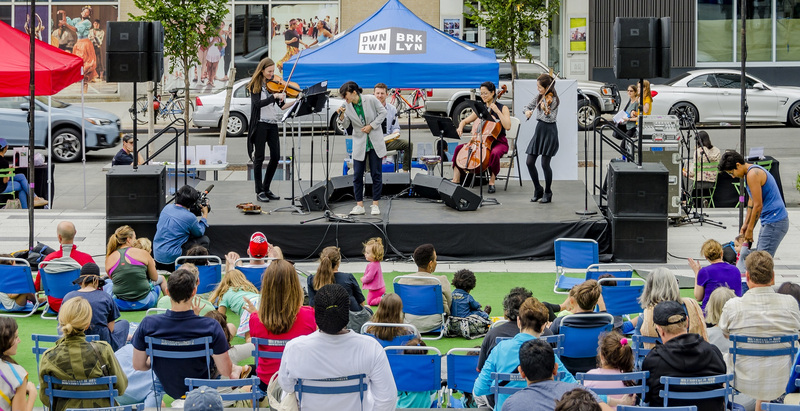 Over one weekend, acclaimed local arts organizations from the Brooklyn Cultural District opened their doors with exciting performances, talks, and tours, while The Plaza at 300 Ashland provided the venue for a host of free programming. DBAF opened with an all-ages drum circle, led by Brooklyn Music School, followed by Soul Summit Music. 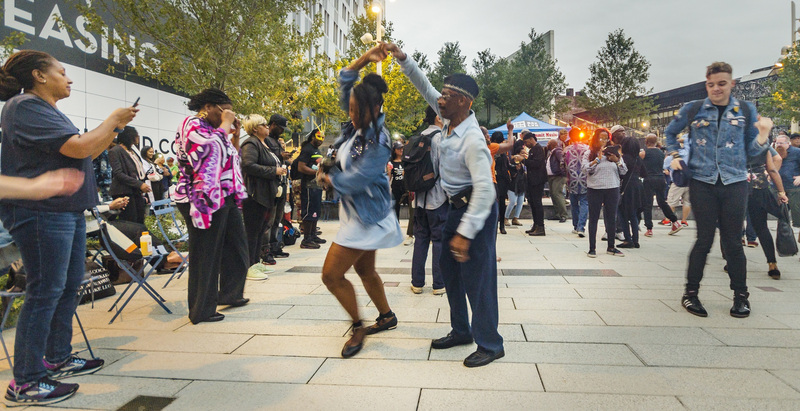 The DJ collective known for its long-running dance parties in Fort Greene Park brought hundreds of people together on the Plaza. 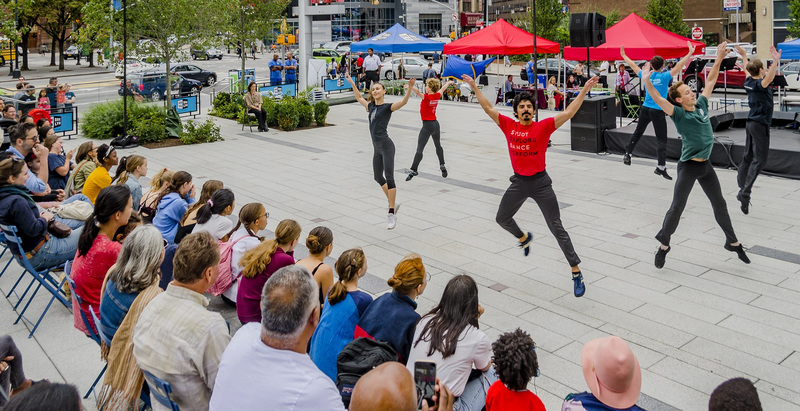 Saturday was “Community Day,” with family-friendly performances, classes, and activities, led by organizations within the Brooklyn Cultural District, including The Brooklyn Ballet, Irondale Ensemble Project, and Dancewave. The audience lounged on beach chairs during a performance by contemporary classical group The Knights, and the afternoon ended with a performance from the Mark Morris Dance Group. 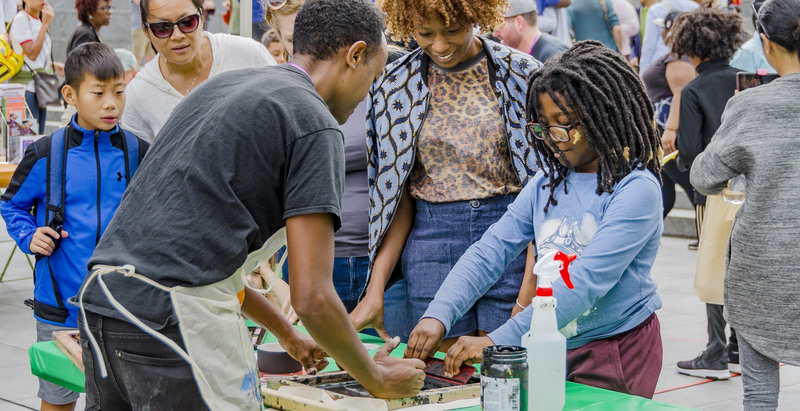 Activities were abundant throughout the day, including screen printing with BRIC, a photography workshop with MOCADA, theater games and storytelling with Theatre for a New Audience, customized book recommendations from Brooklyn Public Library librarians, a lesson on the Brooklyn Bridge with the Brooklyn Historical Society, and live beadmaking demonstrations with UrbanGlass. Los Hacheros closed out the night, appealing to old-school salseros and young music fans alike. The final day of the festival began with the energetic rhythms of local Brooklyn youth marching band, BK United and original music sung by The Phil Woodmore Singers. 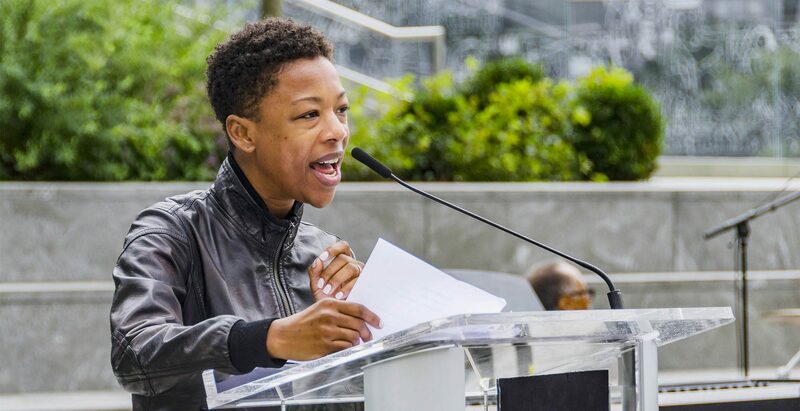 DBAF culminated in a performance of The Drum Major Instinct, featuring Samira Wiley (The Handmaid’s Tale, Orange Is the New Black), directed by Bryan Doerries (Public Artist in Residence of the City of New York and founder of Theater of War Productions). Stay tuned for updates on next year’s lineup! Special thanks to: BAM, BRIC, Brooklyn Ballet, Brooklyn Historical Society, Brooklyn Music School, Brooklyn Navy Yard, Brooklyn Public Library, Dancewave, Irondale Ensemble Project, Issue Project Room, Katie Merz, Mark Morris Dance Group, MOCADA, New York Transit Museum, NY Writers Coalition, Recess, Roulette, Soul Summit, Theater of War, Theatre for a New Audience, and UrbanGlass.